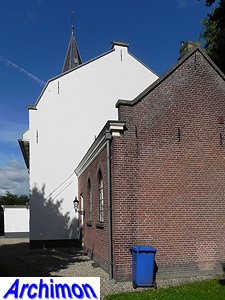 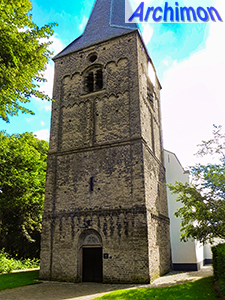 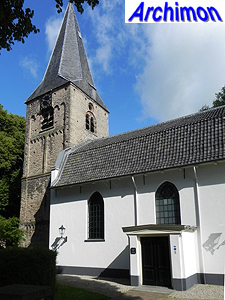 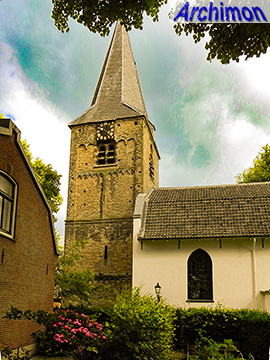 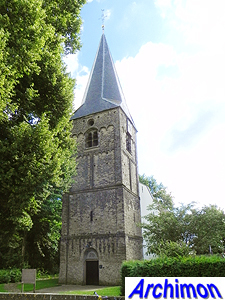 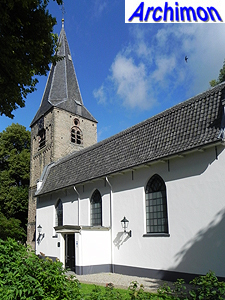 The reformed church of Werkhoven was founded as the catholic church St. Stefanus probably in the 10th century. 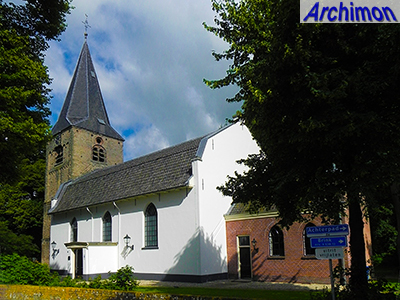 In the 12th century a wooden church was replaced by an aisleless church in Romanesque style. 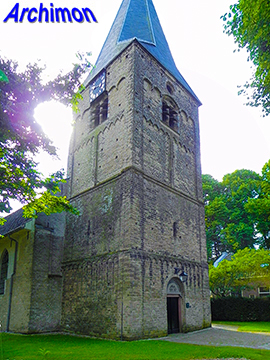 In the 13th century a tower was built and in the 15th century a Gothic choir was added, most likely replacing a smaller Romanesque choir. 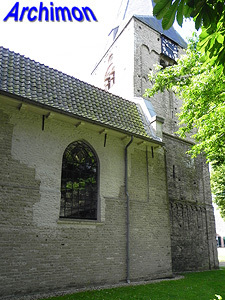 In the same period the nave was modified in Gothic style. 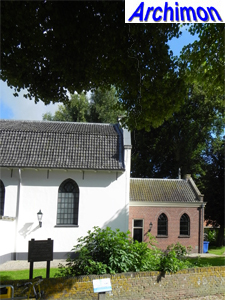 In 1830 the church was once again rebuilt. 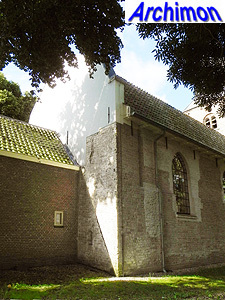 The choir was demolished and the walls of the nave were lowered and covered with plaster. 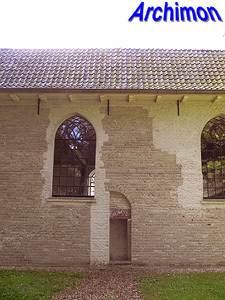 The roof was replaced by a mansarde roof. 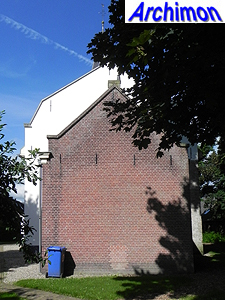 In 1902 a consistory was built where once the choir had been. 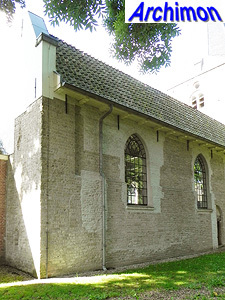 When in 1995-1996 the church was being restored, underneath the coat of plaster the tuff north wall of the Romanesque nave was rediscovered, with traces of a former portal. 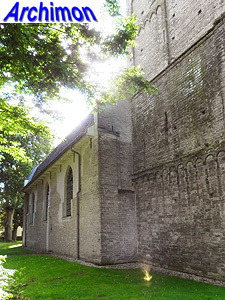 This side of the nave has been left without plaster ever since, resulting in a church with two very different 'faces'.